Product prices and availability are accurate as of 2019-04-24 23:14:12 UTC and are subject to change. Any price and availability information displayed on http://www.amazon.com/ at the time of purchase will apply to the purchase of this product. 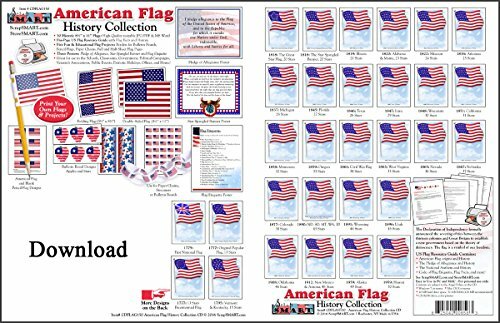 In ScrapSMART's American Flag History Collection CD, we've included pictures of every official American flag since the Continental Colors. (Did you understand that traditionally, the United States has had over thirty flags?) You'll likewise discover full-color posters commemorating the Pledge of Allegiance and the National Anthem, along with a five-page resource guide listing truths and history about our cherished Old Glory. 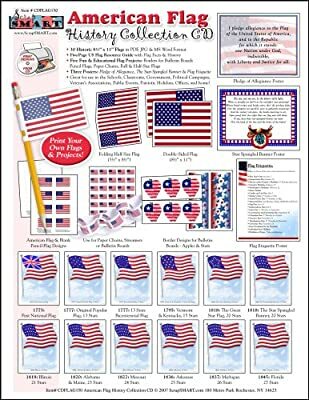 The next time you're put in charge of school history system or fundraiser, print out the included craft jobs-- they're best for decorating classrooms, hallways, display tables, or any location you wish to show your American pride! Print this collection of posters, clip art, and historic resources on paper to make homemade cards, organize educational presentations, or add a little patriotic style to your scrapbook. Teachers, history buffs, federal government offices, and genealogical societies will discover unlimited usages for them. For more concepts, inspect out: Civil War Legacy, American Pride. CD Features: No software application to install. 30 clip art images in PDF, MS Word, and resizable JPEG formats. 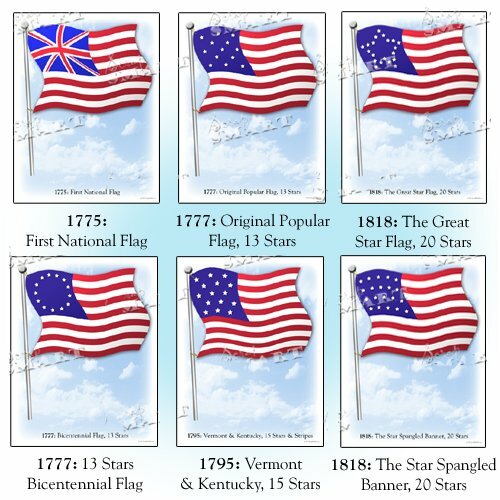 Five-page US Flag Resource Guide with flag truths and history. Five fun and educational flag jobs: borders for bulletin boards, pencil flags, paper chains, complete and half-size flags. 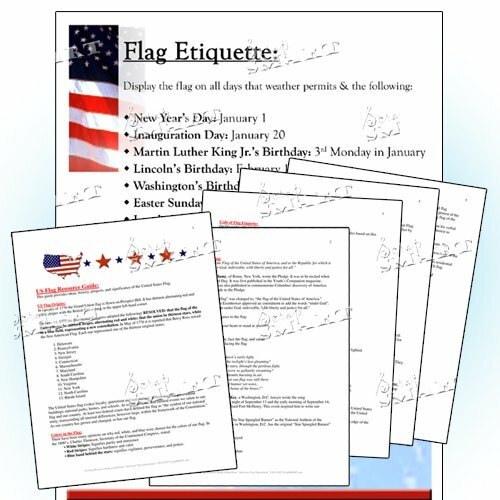 Three posters: Pledge of Allegiance, The Star-Spangled Banner, and Flag Etiquette. Use Specifications: All designs print on conventional 8 1/2" x 11" sheets. Use with cardstock, paper, or printable fabric and iron-on transfer sheets. Handy package shows each design. JPEGs are resizable for custom jobs. Requirements: For personal use only. Contents go through the Angel Policy on the CD. Windows 7 or more recent. Mac OS X or more recent. 10 MB disk drive area, 32 MB RAM (128 MB recommended). CD-ROM drive, color printer.